2015 BMW S 1000 XR. Picture credits - BMW. Submit more pictures. Here�s the perfect BMW motorcycle for all those who want the dynamic performance of a sports motorcycle, the versatility of an enduro and the comfort of a touring bike. The new S 1000 XR combines the very best of these worlds to create something completely new: the first ever adventure sports bike made by BMW Motorrad; perfect for everyone in search of sporty flair that knows no bounds. Wheels: Rim, front 3.50 x 17in. Ask questions Join the 15 BMW S 1000 XR discussion group or the general BMW discussion group. Bikez.com has a discussion group for every motorcycle. Here you may find answers to common questions about the model. If you do not find what you are looking for, you can ask questions. 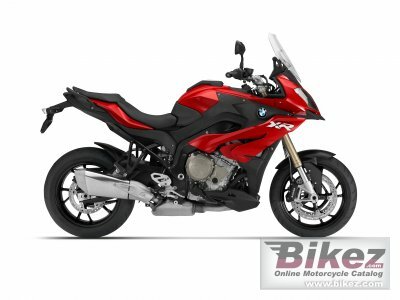 Try out the 2015 BMW S 1000 XR discussion forum. You can sign up for e-mail notifications when other users answer you. If you have information about any technical issue related to this motorcycle, please leave a comment for other riders.